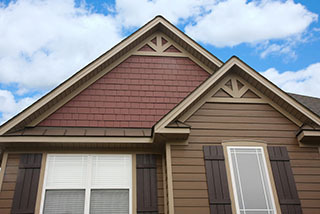 Minnick Home Solutions has the expertise to re-roof your home correctly, the first time. We have been awarded a Super Service Award by Angie’s List and a Top Rated Award by Home Advisor. We take pride in providing our customers with the very best experience possible. We have the skills and knowledge to get the job done correctly while using the best brands available. Re-roofing a home can be a complex task and we have the expertise and knowledge to install a roof that will last for years. 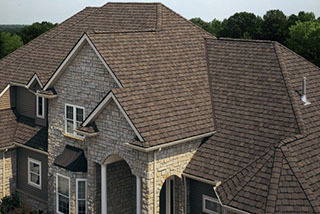 Ask about our full range of roofing services. 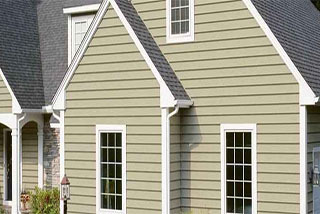 Over a long period of time your home’s siding may become unsightly and lead to increases in your heating and cooling bills. We use the best brands that withstand the test of time. 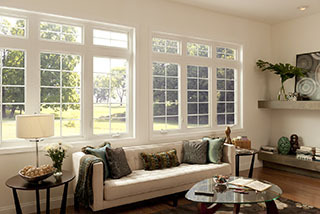 Installing high quality windows and doors will add to the appeal of your home, security, as well as help improve your home’s energy efficiency. Do you have water or mold in your basement or foundation issues? A worn out gutter system may be to blame. 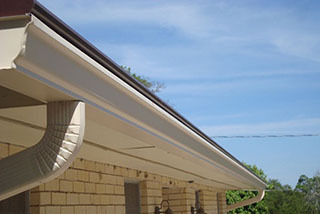 We have the expertise to repair and replace your home’s gutters. We can help you with your project of repairing or installing important roofing parts such as a soffit or fascia. Need high quality shutters installed? We can help you with those as well. 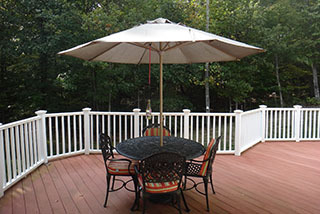 Adding a deck not only offers you additional space for family and friends to gather, but you may also be adding value to your home. Call us today for a free site visit. Minnick Home Solutions, LLC is a privately owned construction company that is dedicated to providing you with the best value in your residential remodeling plans. We use our experience and knowledge of current products and procedures to provide you with a service that has both quality and integrity at a fair price. We do the job Right, the First time. We execute a plan to keep the project on schedule. We offer a fair price on our services. We serve the Pittsburgh Metro area. Not sure where to start? Schedule a meeting with one of our project planners. Whether you’re trying to increase the value of your home, make general repairs or upgrades, our team can help you make informed decisions and prioritize your projects. Give us a call today or visit our contact form to schedule your free estimate. Received bid within 2 days of contact. Excellent communication. Fair bid. Work completed in one day. I inspected the work and for the first time in a LONG time I am happy with a contractor's work. I plan on getting bids from them for some other work we have planned. Very professional and timely. I highly recommend them for anyone that needs new gutters, downspouts, soffit etc. Tom Minnick was fantastic! He was very forthcoming with all pertinent information relative to the job. He was helpful in explaining things, polite and reliable. He did an excellent job and was extremely fair with pricing. He gave me a beautiful roof and I would recommend him to everyone. Honest, intelligent, professional. Quality work, wonderful business. Highly recommend!